At CitrusLeaf, we always believe that testing is as important as development in a software’s lifecycle. That’s why we start every project by writing test-cases before we start its development. As soon each module gets completed, we start writing it’s unit test cases using CodeCeption. 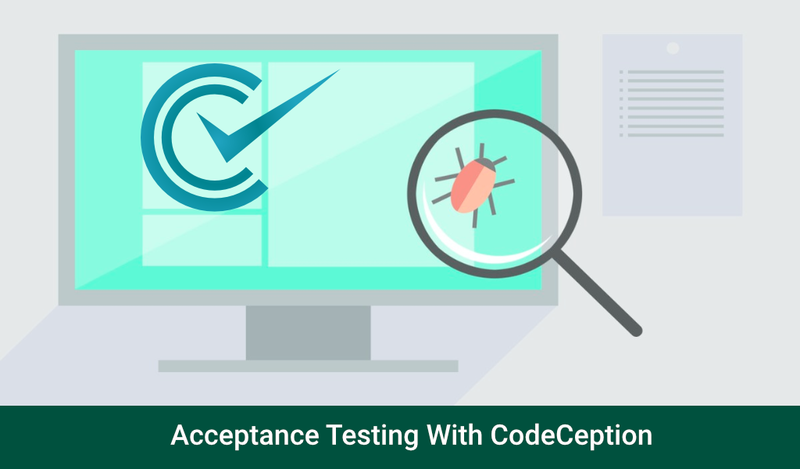 More recently, we upped our game by writing Acceptance Test Cases using CodeCeption. Acceptance or user acceptance testing (UAT) is a type of testing which ensures that the application requirements meet business needs. Although a time-consuming process, it increases the overall quality of the software and makes sure that it’s behaving like it should in real-world. It is a simple, efficient yet powerful testing framework which can perform API, Unit, Functional and Acceptance testing. Based on the popular unit testing tool PHPUnit, it enables user-centric testing and Behavior Driven Development. Codeception collects and shares best practices and solutions for testing PHP web applications. With a flexible set of included modules, tests are easy to write, easy to use and easy to maintain. Codeception encourages developers and QA engineers to concentrate on testing and not on building the test suite. This command will generate the configuration file ‘codeception.yml’ and default test-suits (acceptance, unit and functional test-cases folder). $codecept run – Runs all the tests which include acceptance, unit and functional test-cases. $codecept run acceptance –steps – Runs all acceptance tests and print step by step execution. $codecept run tests/acceptance/MyCest.php:^logint$ –debug – This will run only ‘login’ method of ‘MyCest’ class. Interaction with page: fillField(), selectOption(), submitForm(), click() etc. Assertions. see(), seeElement(), seeInCurrentUrl(), seeCheckboxIsChecked() etc. You can add a suffix to all these methods and use it when you need it. Open your favourite text editor and open the project’s directory. As soon as you run the test, you’ll see the browser automatically opening http://example.com/login, filling out the form, confirming that it sees “Welcome, User!” and exits. If there’s any failure in this assertion, the test will fail and the terminal will show the appropriate line number to fix. All in all, we’re are enjoying CodeCeption at CitrusLeaf. CodeCeption has made it really easy to write better software by taking up the major hard work in generating test suits. This marks the end of part 1 of the Codeception series of articles. More blog posts are coming up. Stay tuned!